I don’t know what it is about Melbourne that always captures my heart. It’s not exactly the richest nor most modern of Australian cities but Melbourne has heaps of soul. It’s a city where the architectural mix and match of old and new hasn’t resulted in some anarchic turbulence but rather, the confluence of times and culture lends valuable street cred to this artistic town with a flair for design. 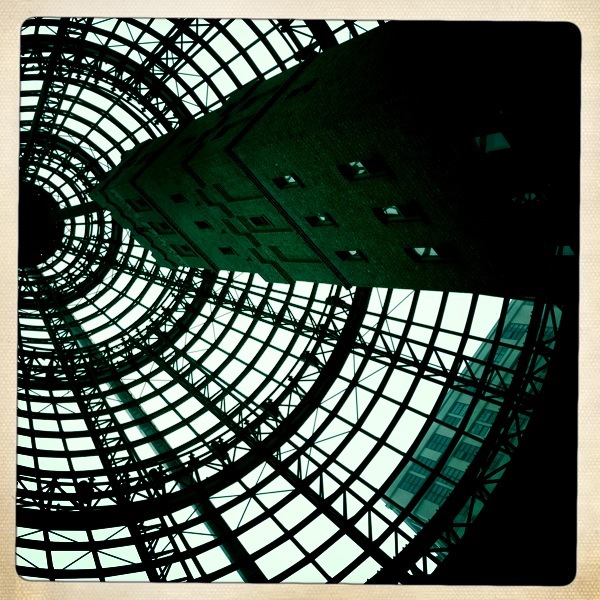 The Tower at Melbourne Central is a popular subject for photography. It represents old and new Melbourne. In the last issue, I declared Athens to be the best city to see on foot. This shopping haven takes the top prize for being the city where you’ll probably spend the most time walking. Unlike most other pro-shopping cities, the single greatest pull of Melbourne is the discovery and adventure. Boutiques and retail outlets are sandwiched between little café nooks and restaurants turning the process into one massive city adventure. 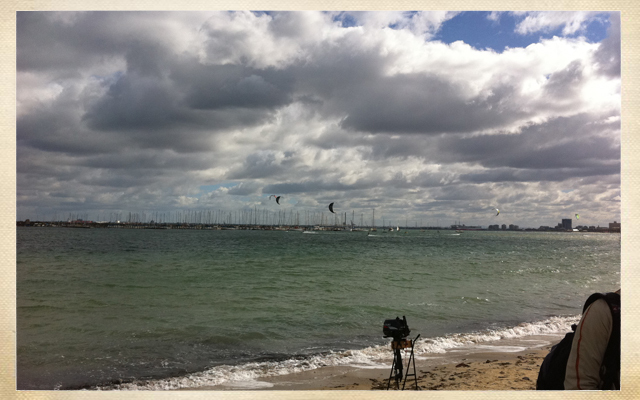 Winters are not horrible in Melbourne, the real problem is the rapid and drastic changes in weather and wind conditions. Wind chill and rain accounts for a large percentage of the variation. Whatever you do, do not dress like you’re heading to the Antarctic. 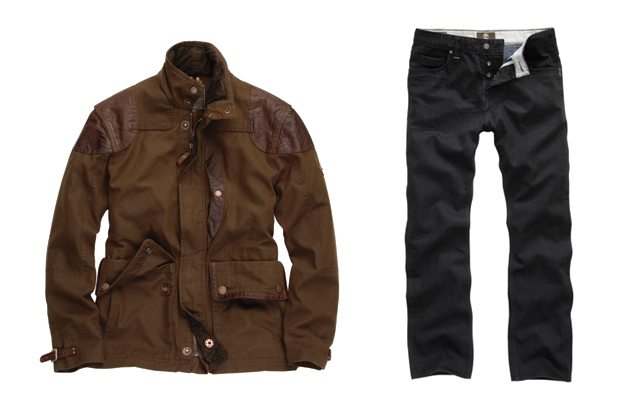 The trick is to layer and Timberland apparel has many great options from knits to sweaters, from trenches and wovens. Once you’ve got your shoes and wardrobe settled, you’re ready for any challenge. For starters, it really is the city of Batman. Just not the Batman you might be familiar with. In 1835, what is now central and northern Melbourne was explored by John Batman. As a leading member of the Port Phillip Association, his travels led him to the current site of central Melbourne. Today, the metropolitan city is known for a thriving arts scene and with its multiple world class universities, an education hub. As the birthplace for Australian film, Melbourne provides the core of entertainment, tourism and sports. The city is the birthplace of many Australian international celebrities including Kylie Minogue and Geoffrey “Captain Barbossa” Rush. For you culture buffs, the Heidelberg School of Australian impressionist art was born here, including Australian dance styles such as New Vogue and the Melborune Shuffle. As a major centre for contemporary and traditional music, it’s oft referred to as the “cultural capital of Australia”. It’s little wonder this city of 80 million is ranked as one of the top three World’s Most Livable Cities. You have to visit the beaches. In particular Anglesea and Lorne along the Great Ocean Road; like I mentioned, you can bus up to those locations but for this trip, I decided to rent a car due to the limited time I had to write this city guide. It’s a 2 hour drive and if you take my advice about the bus, you’d arrive infinitely less seasick (it’s the long winding road). 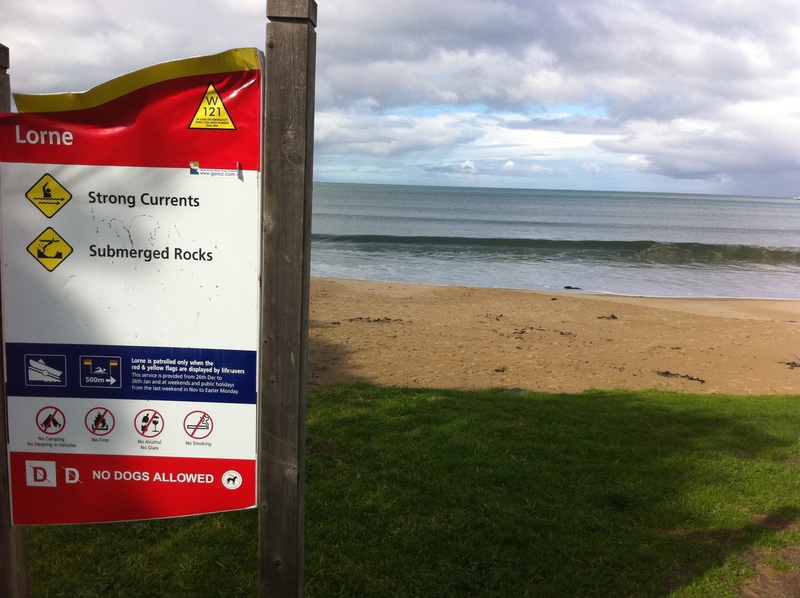 Anglesea and Lorne are great for 3 things. A nice hike up the trails, a great time surfing or the great Australian dish- Fish and Chips. Truth be told, even with all the trudging around in my City Adventure Chukkas, I still put on a little winter weight. Australian portions, not to mention their dedication to fine fresh produce pretty much leaves you well fed. Point Roadknight south of Anglesea is great for a cliff side hike, using the Lighthouse as a landmark, you can pretty much navigate your way along the dirt trails to Fairhaven. Rug up though, it’s not the cold temperatures you need to be worried about, it’s the wind chill factor, so a windproof trench or windbreaker over a cardigan suffices. In the summer, lifesavers patrol the white sandy beaches though keep in mind, the lifeguards can’t save you from massive sunburn. Hint: Singapore clouds provide some protection from UV rays. It’s not cloudy down under in the summer. St Kilda Beach Unlike its cousin beachfronts, St Kilda Beach is more of a city beach. 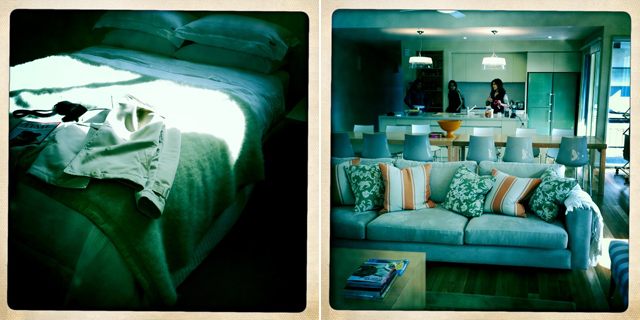 To me, it’s a quick getaway without leaving urbanites like myself jittery and craving for city espresso. You get great kite-surfing done here. What’s kite surfing you ask? It’s pretty much wake-boarding without the boat. You hang on to a massive para-sail and wait for the winds to take you across the ocean waves at breakneck speeds. While you’re at St Kilda, take some time out from shopping and great Aussie gelato and visit Luna Park and a real old school cinema. To be honest, the cinema reminds me of a scene from Baz Luhrman’s Romeo + Juliet. 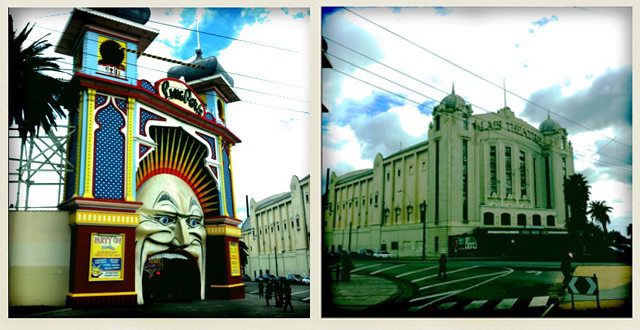 Luna Park and Palais Theatre are not only notable landmarks but institutions of St Kilda. It’s among the most picturesque of points along Port Philip Bay. A short tram ride from the city and a favourite haunt of many Melburnians, it was once shunned because druggies and prostitutes roamed the streets. Today, rapidly rising real estate prices for the beach front apartments have pushed the undesirables out turning this bayside suburb into an explorer’s dream filled with great music venues, cool restaurants and a café lifestyle. My favourite of which- Il Fornio. On Sundays, you can find a craft market along the Upper Esplanade. Don’t forget to visit the landmark Esplanade Hotel for the latest indie bands, you won’t regret it. The arty vibe is totally infectious. The Lower Esplanade opposite the beach and its famed eateries is home to Luna Park fun fair (get on the Gravitron. Really, it’s fun) and a rocking R+J alike Palais Theatre. You should also check out the newly refurbished St Kilda Baths. If you feel like a lighter wallet, the numerous boutiques along Acland Street ought to do it. My favourite store is a toss up between CM’s, a local designer label and a sleazy Victorian era lingerie store just opposite. The hot chocolate at Ganache is thick enough and strong enough for a meal. Seriously. Chapel Street is pretty much the luxury boutique avenue of Melbourne. You can get there by tram or alternatively by train via the Sandringham line and alighting at South Yarra station. It is a shopping, dining and entertainment district. Many consider it the style and fashion capital of Melbourne and home to what I consider unequivocably the best chocolate store in the state of Victoria- Ganache. Pictured on the right are blocks of chocolate with dried strawberry slices, they not only make amazing gifts, it’s my contention that it’s legally the most addictive substance known to developed nations. The street runs close to 5km, brisk window shopping up and down the sloped road is a pretty good workout. Hint: There’s a ROLEX GMT selling for AUD4,000 there. It’s a bloody bargain. Queen Victoria Market also known as the Queen Vic Markets or simply as the Queen Vic is a major institution in Melbourne, Australia. Containing some of the freshest produce and dry goods, the seven hectare market is officially the largest open air market south of the equator. I go to Queen Vic for two reasons- First, the Chai tea available at McIver’s coffee and tea and Black Pepper Pork Bratwurst available from the store next to it. Absolutely sublime. If you happen to be doing a home stay, get all your groceries from this location, from fresh bread to handmade nougat, you’ll be spoiled for choice. Melbourne City Proper comprising Swanston, Flinders, Elizabeth, Bourke, Lonsdale is home to a multitude of retail outlets ranging from street fashion to high fashion, departmental stores like David Jones and MYER, electronic goods retailers, health stores, BOOST juice stands, fast food, bubble tea, it’s basically everything and anything you might find in a major metropolitan city. If you walked along each of the mentioned streets, you might find yourself covering 15 kilometres easily. When you’re all shopped out, visit the museums. If you’re short on time, you shouldn’t miss Federation Square pictured right, it’s home to ACMI (it’s pronounced ACME by the locals)- Australian Centre for Moving Images. It’s a wonderful tribute to arts and design, infinitely more robust than Singapore’s Esplanade, ACMI’s curator is top notch. He’s picked Tim Burton for this season’s exhibition feature running till end October 2010. For burning questions and remarks, you can reach the Editor at jonathan.ho@crmedia.com.sg. The pictures were taken with Hipstamatic App on the iPhone 4. The locations were covered within a span of 3 days.